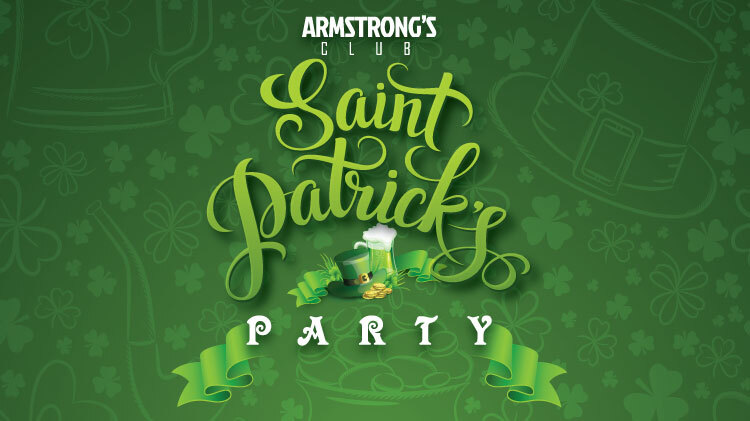 Date: Mar 16 2019, 9 p.m.
Armstrong’s Club is the place to celebrate one of the best party days of the year with a great live rock band, drink specials and of course, green drinks on March 16! Party starts at 9 p.m. and goes into the early morning hours of 2 a.m.
Open to I.D. cardholders and their guests, ages 18 and over.